Caralyn Brace is a senior executive in Cisco's Advanced Services organization with more than 25 years of technology leadership experience. In her current role, Caralyn leads a global business team focused on driving market growth by enabling Cisco's global partner ecosystem to leverage Cisco Services capabilities in their solutions for growth. Prior to this role, Caralyn led the Advanced Services business in the Americas. Her organization directed a P&L exceeding $1B covering US Enterprise, US Commercial, Canada, Latin America and Cisco's largest Global Enterprise account delivery. 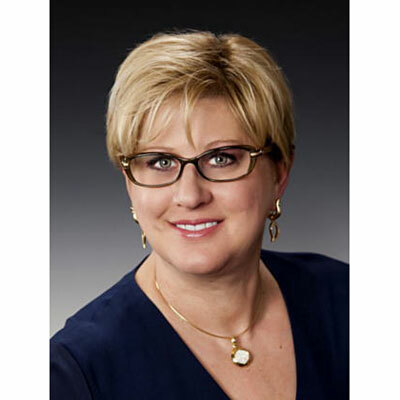 Prior to joining Cisco, Caralyn led the sell-through and sell-to business for Unisys products and technology services in North America, including Unisys' channel partners. She also served in successive leadership positions with Computer Sciences Corporation. Caralyn lives outside of Charlotte, North Carolina, with her husband and daughter. She is passionate about mentoring, and serving organizations that inspire and enable underprivileged youth to reach their full potential. She also volunteers on advisory boards of organizations with similar goals. Caralyn has a Bachelor Degree from Lake Forest College in Chicago, Illinois, and a Masters Degree in Business Leadership from Georgetown University in Washington DC. Partner Evolution and Market Development is a new team within Cisco Services designed by and led by Caralyn Brace focused on driving growth with partners. We are highly focused on the value proposition that Cisco Services can drive to our partners to build a foundation for Partners to grow their own services around. Through this new team Cisco is viewing our Services portfolio as an enabler for our partners to help our joint customers on their digitization journey. As Cisco continues our journey around transforming to a software and services company, so must our Partnerships. This transformation requires us to support the growth strategies with our partners because as they grow, we will grow with them. I am personally focused to drive innovation for working with partners to drive nes business models to drive co-delivery and IP Based offerings to provide a foundation for partners optimize the impact technology can have on their business outcomes. Reshma Saujani, the founder of Girls who Code. Reshma recognized the gender gap in technology not as a skill, but as a way girls are being taught. She has led the development of an organization that not only drives to bridge that gap, but builds technology skills into under-served markets that are often forgotten about. I have learned by reading and observing Reshma and other strong leaders in the industry that when girls are taught coding skills early in their lives they not only learn a value skill, they also learn amazing problem solving skills and self confidence. Take more risks early, don't be afraid to fail. It is only through failure that the real victories appear! I would love to master writing, telling stories in print as I think it would be excellent to learn from my own experiences (it's so easy to forget our own lessons) but also share them with others. Through my work and personal lives I have had some unique experiences that I think others would find interesting, valuable and perhaps even entertaining. Play Bigger by Al Ramadan, Dave Peterson, Christopher Lochhead and Kevin Maney. Organizations all try to disrupt. By disrupting you are taking market share from one organization to another. In Play Bigger though it's not a factor of disrupting but about creating a new category. Category Kings are am amazing example of breaking away! To me this is not just about business but a great guideline in life. Sometimes it's not about just doing what other people are doing, but better, it's also about doing your own thing, creating something new and leaving your own mark.